I’ve read a lot of promotional posts punting Patagonia’s new, ‘not yet released’ River Salt boots that were showcased at ICAST 2018 in the United States. The boots are meant to hit the shelves of retail stores early in 2019 (rumour has it that February’s the month to look forward to). However, in my internet searches I could not find any real, actual first impressions on these boots…I guess I should feel privileged then to be able to pen some of the 1st practical notes on these boots as I received a pair for product testing from The Mission magazine (fair and square from a lucky draw between about 10 okes) more than a month ago. 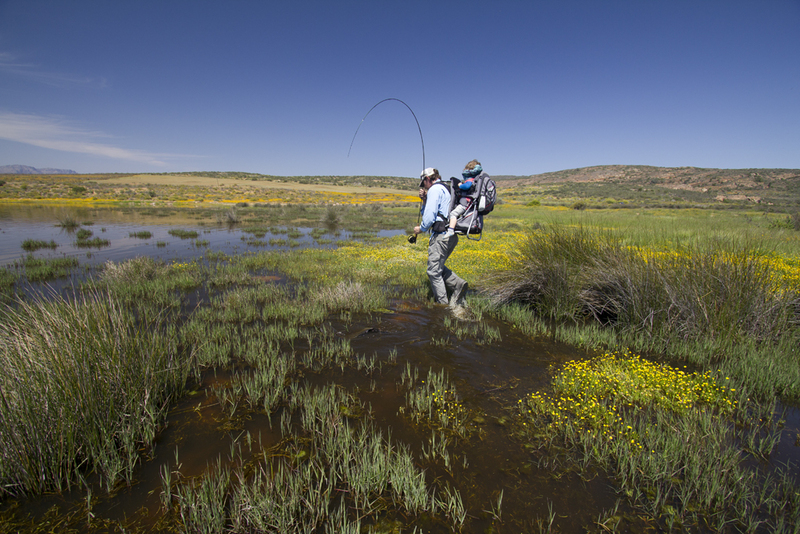 There have been very few fly fishing products that besides catching fish, I’ve looked forward to handle (never mind wear) on the next fishing trip; one is the discontinued SAGE XP 5 wt four piece rod, another is the discontinued Horizon TRS 9 wt produced by Frontier Fly Fishing in South Africa, and now there’s the River Salt boot made by Patagonia and Danner in a collaborative effort to produce an ‘ever-lasting’ wading boot that was made to be repaired. 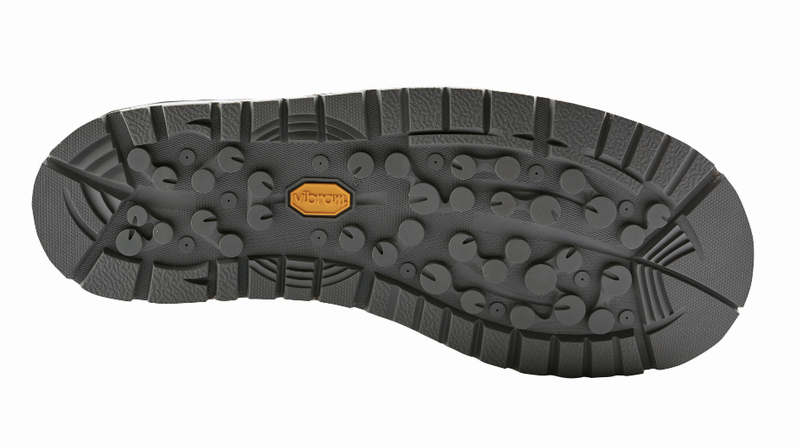 In short, I’ve already covered more than a marathon distance over different types of fishing terrain, from level mud to super slippery rocks covered in algae, as well as up vertical cliff faces, in them and I love my boots (note, MY boots!). 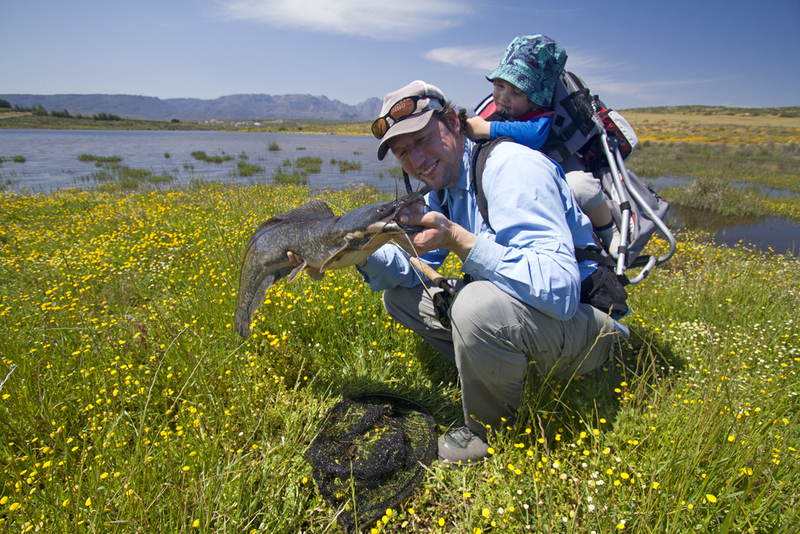 Sneaking up on fish like catfish and carp that are sensitive to vibrations in shallow water is always tricky; this was no problem in the Patagonia River Salt boot and I had one of the most comfortable sessions perching in these boots over catfish like a heron, even with my son on my back. They are not feather light, but also not heavy and surprisingly comfortable to wear all day – at one particularly rocky destination that was fully catered I didn’t bother taking the boots off at dinner as I forgot I still had fishing boots on my feet. 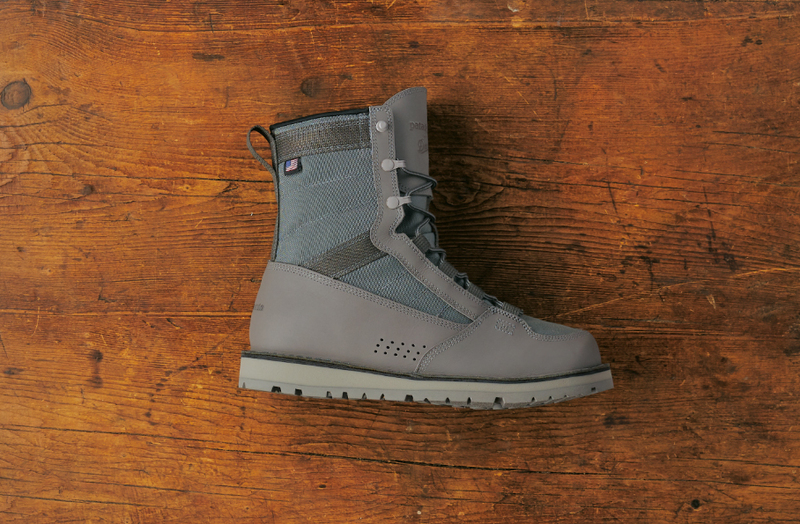 Besides giving ample ankle support, the high boot sits snug around the leg and very effectively prevents sand from filling the shoe. I walked several kilometres over sand banks in and out the water and very little ‘dirt’ got in, which definitely added to their post-fishing comfort level. 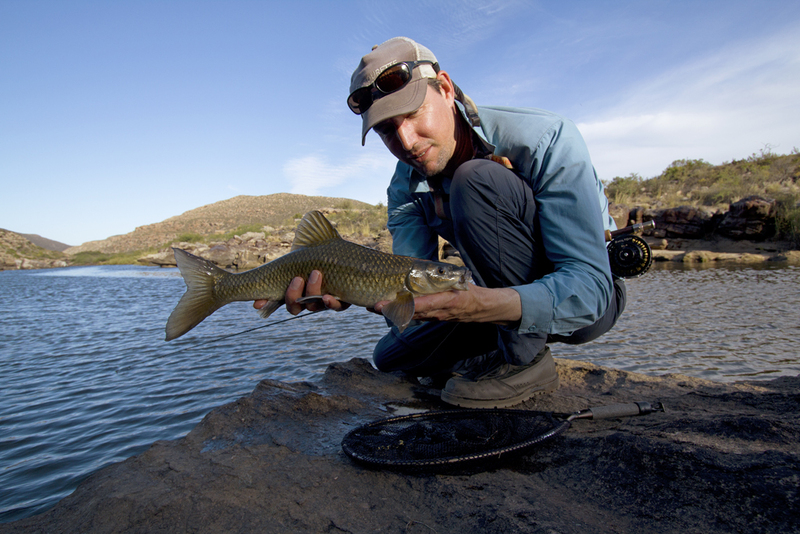 Hiking long distances over rough terrain in search of fairly scarce, endangered indigenous fishes, like this sawfin, in the Tankwa Karoo was a breeze in Patagonia River Salt boots.